Vladimir Putin. Biography. History of the Russian President. Vladimir Putin Biography. History from his birth till becoming the President of Russia. 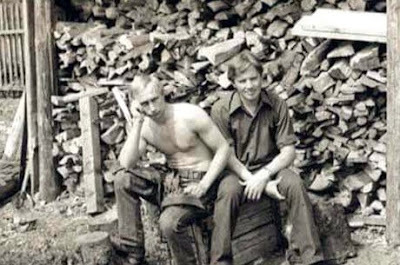 Vladimir Putin's early life and young childhood. Vladimir Putin was born on the 7th of October 1952 in Leningrad(Saint-Petersburg). Vladimir Putin (young) in his childhood. "I have come from an ordinary Russian family and this is the way I live for a very long time, nearly the whole my life. I lived as an average, absolutely normal person and I have always maintained that connection." 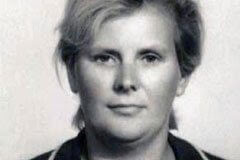 Maria Ivanovna Shelomova. Mother of Vladimir Putin. Maria Ivanovna Shelomova - mother of Vladimir Putin was a sympathetic, kind and very friendly woman. Maria Ivanovna Shelomova with young Vladimir Putin. "We lived simply - cabbage soup, cutlets, pancakes, only on Sundays and holidays my Mother used to bake very tasty stuffed buns with cabbage or meat with rice. I also loved very much her curd tarts. It was a real masterpiece." It's a pity that his Mum didn't approve his passion for Judo. Every time I went to a practice session, she would grumble, "He's off to his fights again." Things changed after the Judo coach of Vladimir Putin visited his home and told his parents about the achievements of Vladimir in sports; This fact changed his mother attitude towards Judo. Vladimir Putin was named in honor of his father, whose name was also Vladimir. Putin's father participated in the war. He worked as a security guard and later as a foreman at the carriage works. "My father was born in Saint Petersburg in 1911. Soon World War I began and the life in St. Petersburg became extremely hard. There was no food. Citizens were starving. This made my family move to Pominovo - a small village situated in the Tver Region, the homeland of my grandparents. 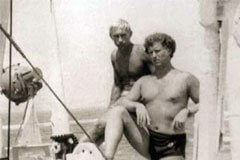 In Pominovo Vladimir Putin's father met Maria Shelomova, they fell in Love and soon (at the age of 17) married." 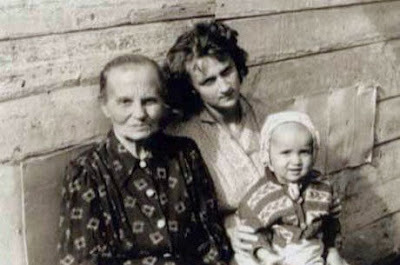 Vladimir Putin in childhood with his Mother Maria Shelomova. After the war, the Putin family moved into a small room in St. Petersburg, situated on Baskov Lane. "It was a building with a well-like yard. Fifth floor. No elevator. Before the World War II, my parents occupied half of the house in Peterhof and were very proud of the living standards they had achieved then. It wasn't really much, but it seemed like an ultimate dream to them." Vladimir Putin childhood. School years. 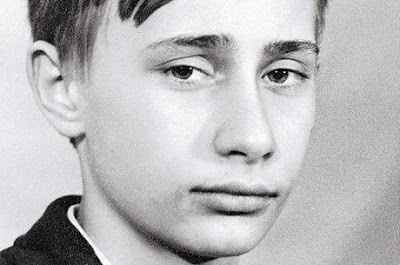 Vladimir Putin spent his childhood attending Primary School № 193 in Leningrad (1960 - 1968). After finishing the 8th grade, he moved to High School № 281 and completed his studies there in 1970. Young Vladimir Putin. School years. "I was always late for my first class, so even in winter I didn't have time to dress properly." 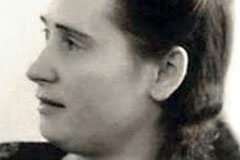 Vera Gurevich, the first teacher of Vladimir Putin. Vladimir Putin recalls that he was a troublemaker, not a Pioneer. His first teacher - Vera Gurevich, thought that in the fifth grade he still hadn't found himself yet. On the other hand she could feel the potential, the energy and the strong character in him. She saw that he had a talent in languages, learning a foreign language was very easy. He got a good memory and agile mind. She liked the boy and gave him more attention in order to distract him from the boys on the streets. In elementary grades, Vladimir was not much interested in studying. His teacher Vera Gurevich knew that he could study better and get only excellent marks. She met with his father and asked him to influence the son, though it didn't help much. Vladimir Putin himself changed his mind and understood the price of knowledge. It happened to him when he was in the 6th grade. In the 6th grade, Vladimir decided to achieve something extraordinary in his life and began to study well, getting only good marks. He joined the Young Pioneers organization and became the head of a Pioneer detachment in his class. It became clear that street smarts were not enough, so I began doing sports. But even that was not enough for maintaining my status, so to speak, for very long. I realized that I also needed to study well." Leningrad State University and KGB school. In 1970, Vladimir Putin entered the law department of Leningrad State University and graduated in 1975. 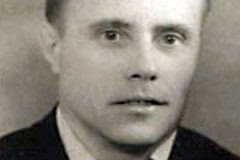 Later he studied at KGB school № 1 in Moscow. Vladimir Putin. Student of Leningrad State University. Even before I finished high school, I wanted to work in intelligence. Granted, soon after, I decided I wanted to be a sailor, but then I wanted to do intelligence again. In the very beginning, I wanted to be a pilot. All his life Vladimir Putin dreamed of working in intelligence. He went to a public reception office of the KGB Directorate, where he was told that he needed either to serve in the army or complete his education in college, studying Law. And from that moment, I began preparing myself to enter the law department at Leningrad State University. In 1970, Vladimir Putin was admitted to law department at Leningrad State University. We had a class of 100 people, and only 10 of them entered immediately after high school, the rest had already completed military service. So for us, the high-school graduates, only one out of 40 was admitted. I got four out of five for the essay, but top marks for everything else, so I passed. Vladimir Putin during his study at Leningrad State University. "When I began studying at the university, new goals and new values emerged. I mainly focused on studies, and began seeing sports as secondary. But, of course, I trained on a regular basis and participated in nation-wide competitions, almost out of habit." 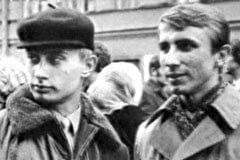 After graduating from Leningrad State University, Putin was assigned to work in the state security agencies. He was first appointed to the Directorate secretariat, then the counterintelligence division, where he worked for about five months. Half a year later, he was sent to operations personnel retraining courses. "My perception of the KGB was based on the idealistic stories I heard about intelligence." Vladimir Putin spent another six months working in the counterintelligence division. That was when he drew attention from foreign intelligence officers. Then Vladimir returned again to Moscow to study at the Andropov Red Banner Institute, where he was trained for his trip to Germany. Vladimir Putin during his study at KGB school № 1. "Fairly quickly, I left for special training in Moscow, where I spent a year. Then I returned again to Leningrad, worked there in the First Main Directorate – the intelligence service. That directorate had branches in major cities of the Soviet Union, including Leningrad. I worked there for about four and a half years." Vladimir Putin got acquainted with his future wife Lyudmila Shkrebneva through a mutual friend. Lyudmila worked as a flight attendant on domestic airline and had come to Leningrad for a day off with her friend. "I was already working in the First Main Directorate in St Petersburg, when a friend of mine called and invited me to the Arkady Raikin theatre. He said he already had the tickets, and mentioned there would be two young ladies joining us. So we went to the performance and the young ladies did join us. The next day, we went to the theatre again, but it was now my turn to buy the tickets. And the same thing happened on the third day. I then began dating one of the girls. I became friends with Lyudmila, my future wife." Vladimir Putin wedding. With his wife Lyudmila. Lyudmila recalls that there was something about Vladimir that attracted her. After 3-4 months she became sure that it was the sort of man she needed. They got married on the 28th of July 1983. 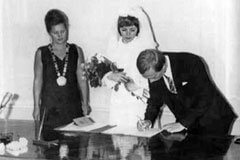 Before the departure for Germany in 1985, Vladimir and Lyudmila welcomed their first daughter, Maria. The second daughter, Katerina, was born in 1986, in Dresden. 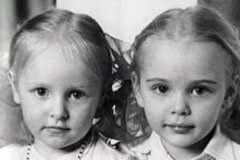 Both girls were named in honor of their grandmothers, Maria Putina and Yekaterina Shkrebneva. Vladimir Putin daughters. Maria Putina and Yekaterina Putina. Vladimir Putin in Germany. Dresden. 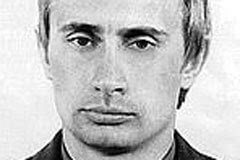 During 1985-1990, Vladimir Putin worked at the local intelligence office in Dresden, East Germany. He was promoted to the rank of lieutenant colonel and began to work at the position of senior assistant to the head of the department. In 1989, he was awarded the bronze medal "For Faithful Service to the National People's Army. "My work was going well. It was a normal thing to be promoted just once while working abroad. I was promoted twice." Vladimir Putin during his work in Dresden, Germany. Vladimir Putin is back to Leningrad. 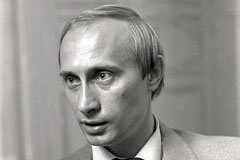 After returning back from Dresden to Leningrad in 1990, Vladimir Putin became assistant to the rector of Leningrad State University in charge of international relations. In 1996, he, together with his family moved to Moscow, where his political career began. Vladimir Putin and his wife Lyudmila Putina. After returning to Leningrad from Dresden in 1990, Vladimir Putin found new job as assistant to the rector of Leningrad State University, in which position he was responsible for international relations. "I was happy to find work at Leningrad State University. I took the job hoping at the same time to write my Ph.D. thesis and, perhaps, stay on and work there afterwards. That was how I ended up, in 1990, becoming assistant to the rector in charge of international relations." Soon he also became an adviser to the chairman of the Leningrad City Council. 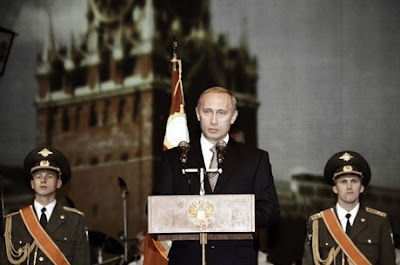 Starting in June 1991, Putin began work as Chairman of the Committee for International Relations at the St Petersburg City Hall, and from 1994, concurrently held the position of Deputy Chairman of the Saint Petersburg City Government. After starting work at the City Hall, Putin sent in his resignation from the KGB. Vladimir Putin. Russian Prime Minister. In 1996, Vladimir Putin moved with his family to Moscow, where he was offered the post of Deputy Chief of the Presidential Property Management Directorate. "I would not say that I did not like Moscow, but simply that I liked St Petersburg more. But Moscow was very obviously a European city." His career rise was rapid. In March 1997, he was appointed Deputy Chief of Staff of the Presidential Executive Office and Chief of Main Control Directorate. Busy with work as he was, he still found time to defend his doctoral thesis on economics at the St Petersburg State Mining Institute. 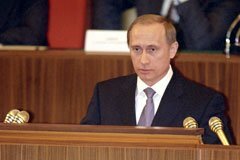 In May 1998, Putin was made First Deputy Chief of Staff of the Presidential Executive Office, and in July 1998, he was appointed Director of the Federal Security Service. From March 1999, he also held the position of Secretary of the Security Council of the Russian Federation. In August 1999, Putin was appointed Prime Minister of the Russian Government. The post was offered to him by then President Boris Yeltsin. "Boris Yeltsin invited me to come and see him and said that he wanted to offer me the prime minister’s job. Incidentally, he never used the word 'successor' in his conversation with me then, but spoke of becoming ‘prime minister with prospects’, and said that if all went well, he thought this could be possible." Vladimir Putin at the Russian Government House. Vladimir Putin described his time in the prime minister’s office as an honor and an interesting experience. "I thought then, if I can get through a year that will already be a good start. If I can do something to help save Russia from falling apart then this would be something to be proud of." Vladimir Putin. Acting President of the Russian Federation. 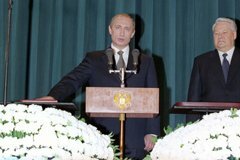 Shortly before the New Year of 2000 rolled in, President of Russia Boris Yeltsin proposed that Vladimir Putin become Acting President. "Two or three weeks before New Year, Boris Yeltsin called me to his office and said that he had decided to step down. This meant I would have to become Acting President." Putin described it as not an easy decision to make, given that it is "a rather heavy load to bear". Vladimir Putin. Acting President of Russian Federation. "I had my own thoughts, my own reasoning, but at the same time, there was another logic I had to consider too. Fate was offering me the chance to work for the country at the very highest level and it would have been foolish to say, no, I’m going to go and sell sunflower seeds instead, or go into private legal practice. I could do all those other things later after all, and so I decided that this had to come first, and everything else later." Vladimir Putin. President of Russia. 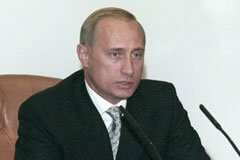 Vladimir Putin was elected President of Russia on March 26, 2000, and was re-elected to a second term on March 14, 2004. On May 8, 2008, he was appointed Prime Minister by presidential executive order. Vladimir Putin was elected President of Russia on March 26, 2000. He was officially inaugurated on May 7, 2000. "I consider it to be my sacred duty to unify the people of Russia, to rally citizens around clear aims and tasks, and to remember every day and every minute that we have one Motherland, one people and one future." Russian President Vladimir Putin at the inauguration ceremony. 0 Comment to "Vladimir Putin - Biography"